Welcome to The Note Company! At The Note Company, We Really GET Notes! The Note Company, in cooperation with Dallas, Texas-based Alliance Capital Group, is actively seeking passive investors who want superior returns, while also having their investment capital fully-secured by a 1st position lien against real property. We also work with Investors to assist them in repositioning their retirement accounts (IRA, 401k, etc), brokerage accounts, and bank accounts from underperforming stock market (and other) investments to real estate-backed Note Investments. Performing Notes are investments that produce streams of income for retirement or other long-term investment accounts. The Non-Performing Note Investment Program deploys Investor capital to acquire and implement workout strategies on Non-Performing Notes that are secured by single family homes. 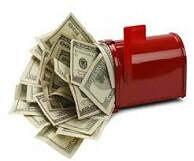 We buy Seller-Financed Real Estate Notes ~ NATIONWIDE. Sell us your Note for FA$T CA$H! Highest Prices Paid ~ Fast Closings! Request your no-obligation quote now. 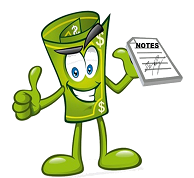 Get your Note Business started by enrolling in the WeGetNotes.com Note Academy. Post-graduation Note Business consulting and mentoring is also available to help you grow your Note Business! Learn more about the remarkable opportunity of investing in Discounted Notes! 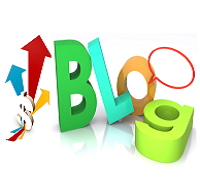 Visit our Blog to learn more on the exciting topics of Real Estate Note Investing! Visit our frequently asked questions regarding investments in Non-Performing Notes and the Non-Performing Note Investment Program. The Note Company helps Private Lenders and other investors reposition investment capital (e.g., IRA/retirement and other accounts) from under-performing uses to investments that are secured by real estate. We also work with Note Investors to invest in Performing Mortgage Notes, Non-Performing Notes, Discounted Notes, and Defaulted Notes to earn superior passive investment income.